Quick recap of the race! 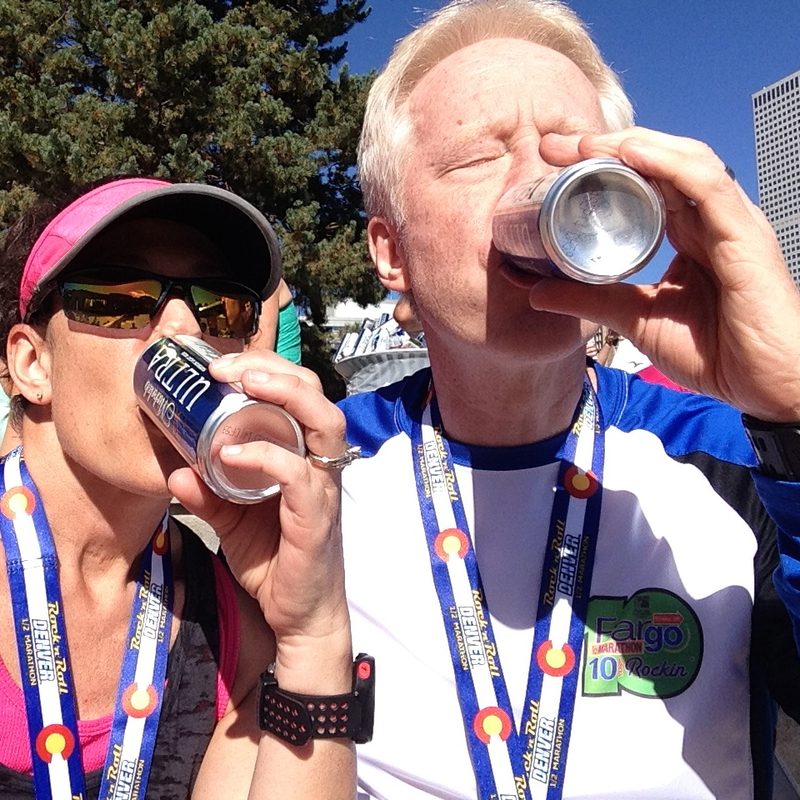 I had every intention of blogging yesterday after the Denver Rock ‘n’ Roll Half-Marathon, but not sure what happened. I feel asleep shortly before 8 p.m. YES, EIGHT! And didn’t wake up until about 8 o’clock this morning. Apparently, I needed some sleep! Wow! That’s about all I can say. Okay. Not really. 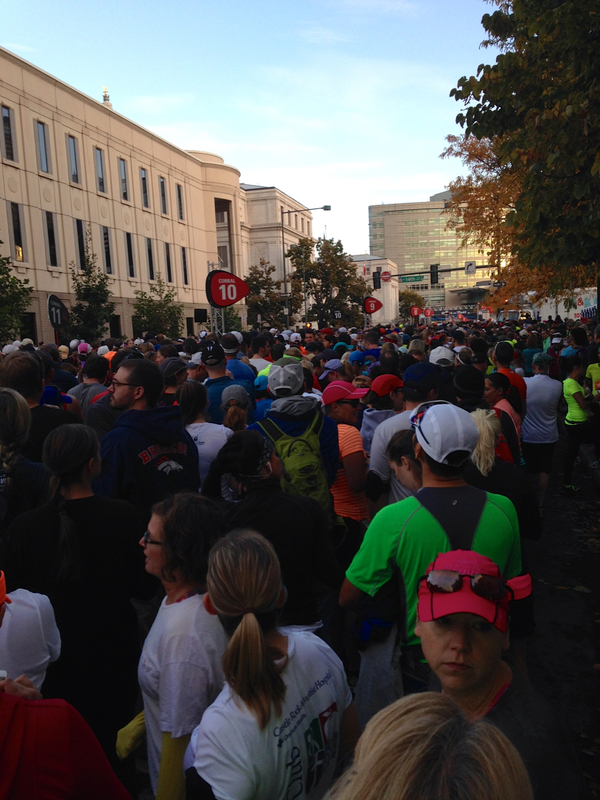 First, here’s a look at just a few pictures to give you somewhat of a scope as to how many ran this race. 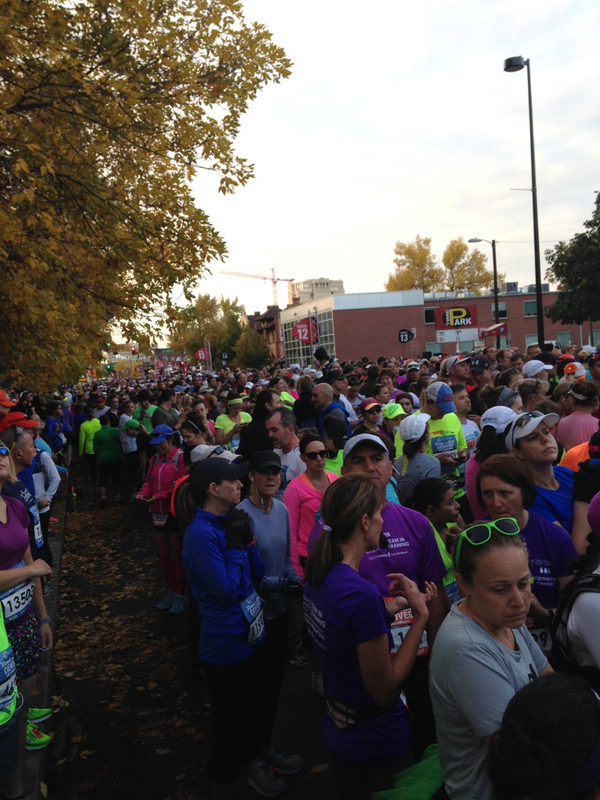 Keep in mind that people lined up in corrals. Al was in corral 7 and I was supposed to be in corral 16, but I moved myself up to corral 11. Not sure I was supposed to do that, but I did. And no one could tell what corral I was supposed to be in because I had a sweatshirt on over my running clothes that covered up my bib so no one could see. I discarded the sweatshirt around mile one. Many runners do that. Wear warmer clothes over their running clothes and then discard them along the course. The clothes are then picked up and donated to a homeless shelter or somewhere else. Pretty cool, really. The course was a little bit hillier than I expected. It seemed like the first three miles were all climbing. Surprisingly, I didn’t have any trouble with my breathing. I kind of half expected my asthma to flare up, but it didn’t. I took my inhaler right before we started running and then had it with me the whole time, but didn’t use. Thank goodness. The course, as hilly as it seemed, was gorgeous. I did make sure to look around and soak it all in. 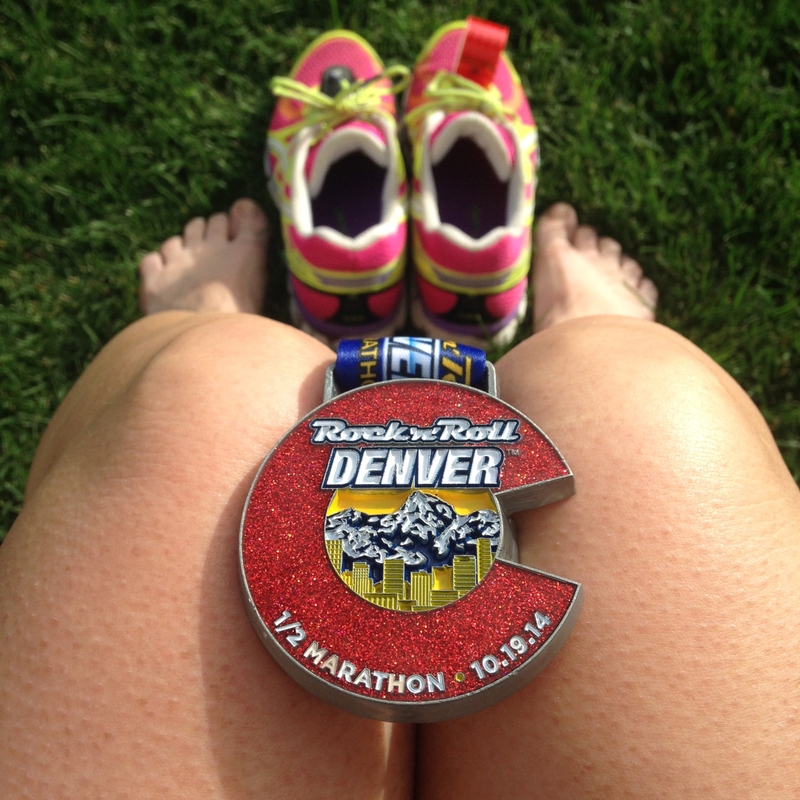 This race, for me, wasn’t about beating my last time or anything like that. I really wanted to experience the race. And I did. And, my time definitely reflects it. BUT…..I am totally okay with my time. I really am. I do like the time on Garmin watch better than my official time, but whatever. So, what was my time? Well, according to my Garmin, it was 2:39:58. 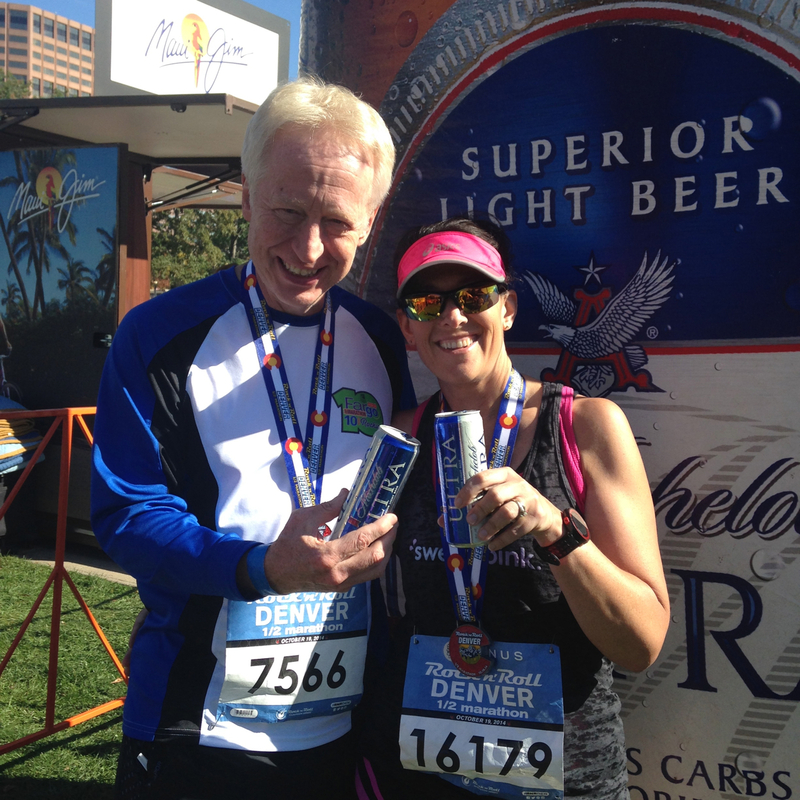 And, for distance, I had 13.19 miles! 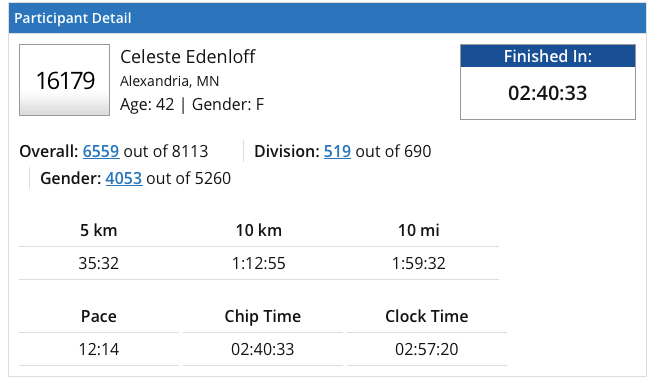 Even though I didn’t really care what my time was and I didn’t care if I beat my last half-marathon time, I did kind of have a goal in mind. I really wanted to finish in two hours, forty minutes or less. Well, my Garmin says I did. That did make me happy. 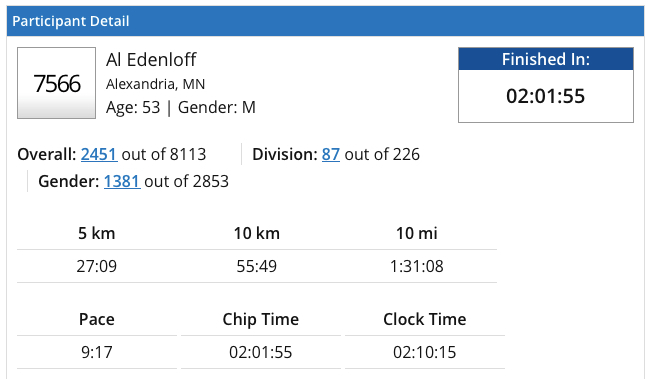 But, my official time did not. No big deal. Really. So, what were our results? Well here they are! 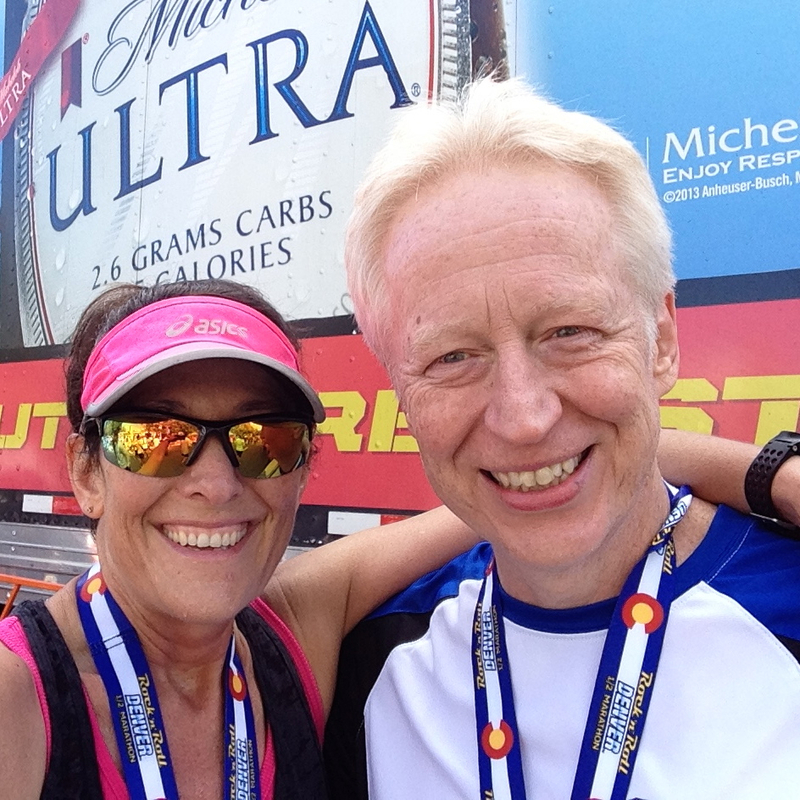 And here is what we looked like at the end. Pretty darn happy, huh?!?! After we got done, we found a nice sunny spot of grass somewhere in Civic Center Park and pretty much vegged out for about 20 or so minutes. It was heaven! I took my shoes off and just walked through the grass a bit. It felt so good. Check out the medals we got. Pretty sweet, huh? Yeah, we like them! 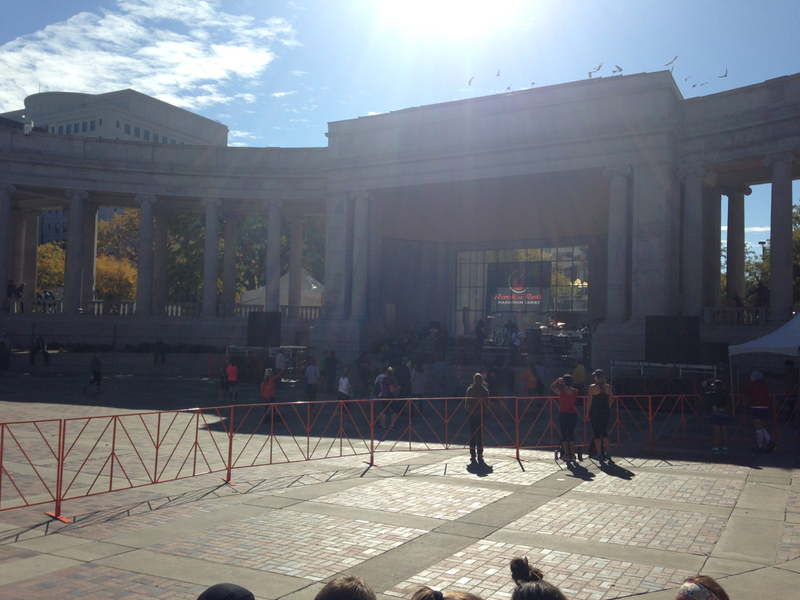 After our rest, we walked over to where the bands were playing and got to listen to the one we wanted to, The Wild Feathers. They were so good. We also got our free beer!